The A&K M1892 gives you a taste of the Wild West in the form of an airsoft repeater. Shooting well around 500 FPS (w/ 0.20g BBs), this hard-hitting gas rifle features a full metal receiver for increased ruggedness and real wood furniture for an amazing feel finish. The full stock is exceptionally comfortable to shoulder and provides excellent cheek weld. 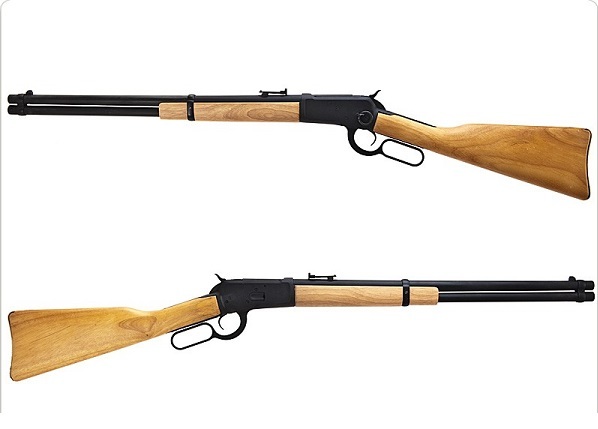 And an integrated hop-up system ensures that this airsoft M1892 lever action rifle delivers excellent range. In addition to its full metal build and real wood handguard and stock, this airsoft repeater is perfect for target practice and anyone looking for a classic replica.